Microsoft has a lot riding on Windows 8, so the company can’t be happy about a public flailing its new operating system received from a big-time game publisher. Gabe Newell (right) is also a former Microsoft employee. Indeed, his gripe really involves revenue. With features such as Xbox LIVE integration, gamers and developers could prefer the Windows Store in Windows 8 over Steam, Valve’s digital distribution service for games. So what’s Valve going to do about it? 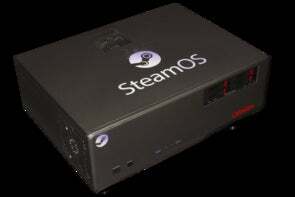 “We’re trying to make sure that Linux thrives,” Newell said, indicating that a lack of games is one thing holding the operating system back and that without them consumer adoption suffers. While Newell’s anti-Windows 8 views are bold, it’s interesting to note the gaming visionary is a former Microsoft employee. In fact, he mentioned that his many visits to different companies as part of his work with the software giant actually helped him form a company with a unique culture focused on experimenting. On the topic of experimenting, Newell also shared some thoughts about what will happen in about a decade when the computing world evolves beyond touch. He predicted that people will someday wear bands on their wrists and talked about Valve’s $70,000 wearable prototype that he can use to look around a room and see information overlaid on objects. “How can I be looking at this group of people and see their names floating above them? That actually turns out to be an interesting problem that’s finally a tractable problem,” he said. The full interview is available at Venture Beat.